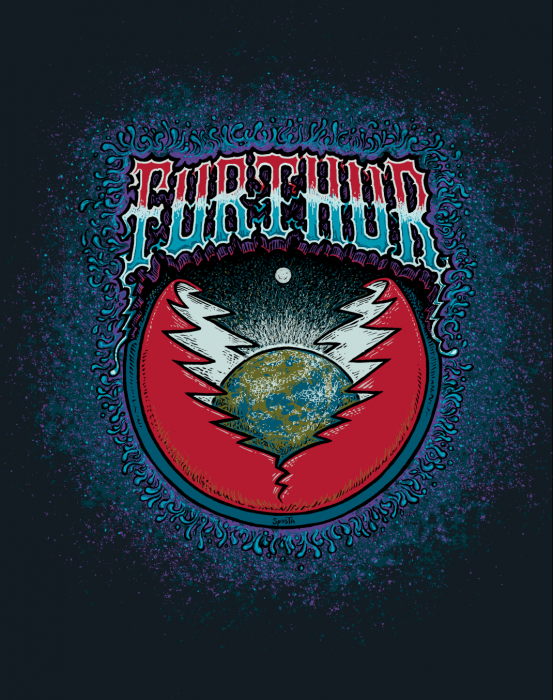 I would imagine that this too has been sold out.Many of my “Furthur” friends are now very turned on to your work.This is a must have. Any chance? Cool Shawn, glad the Furthur folks like my stuff, I was very pleased to work with them. This design was made into a shirt and sticker only, but they don’t seem available online. . . I think the sticker is available at the merch booth. i have one of these, great design marq !! !